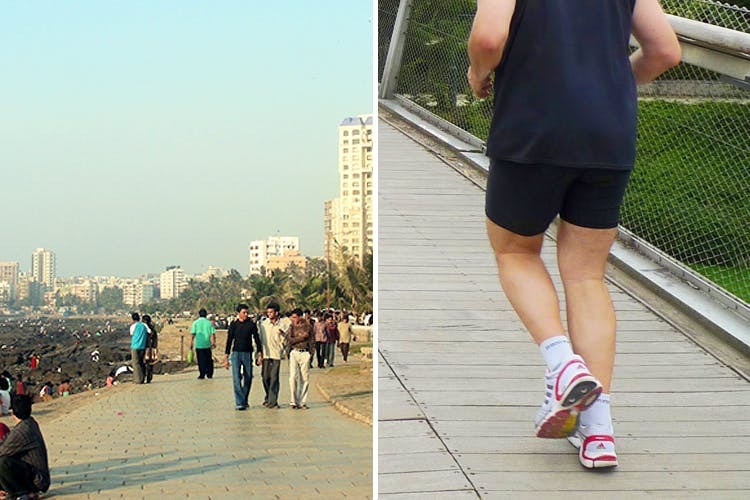 Stretching out for 1.2 kilometres along the coast in Bandra, the Bandstand Promenade is one of Mumbai’s most scenic stretches in the city. You hit the coast to a pleasant breeze, food stalls and ice cream stalls. And, if that’s not all, you get a thriving ecosystem of joggers, professionals and doggos who are out for their morning walk. The Bandstand Promenade is the place for laughs, conversation and newly-made fitness plans. Locals from all over Mumbai come over to the promenade to unwind, after long, tiring days. The brightly-lit, paved pathway is ideal for joggers, with the breeze adding to the refreshing aura of the place. Strewn alongside the promenade are notable hangout areas – for instance, the open amphitheater. This place is witness to local festivals that celebrate art, like Mumbai Festival, Celebrate Bandra and more. Other events that frequent the amphitheater include local dance and music performances, drawing the residents of Bandra and more, during weekends. You can hit the promenade after long day at work, unwind by the sea, grab a quick bite or just take in the view. While you’re there, don’t miss out on the delicious chana chaat and corn prepared by the chaatwaalahs.